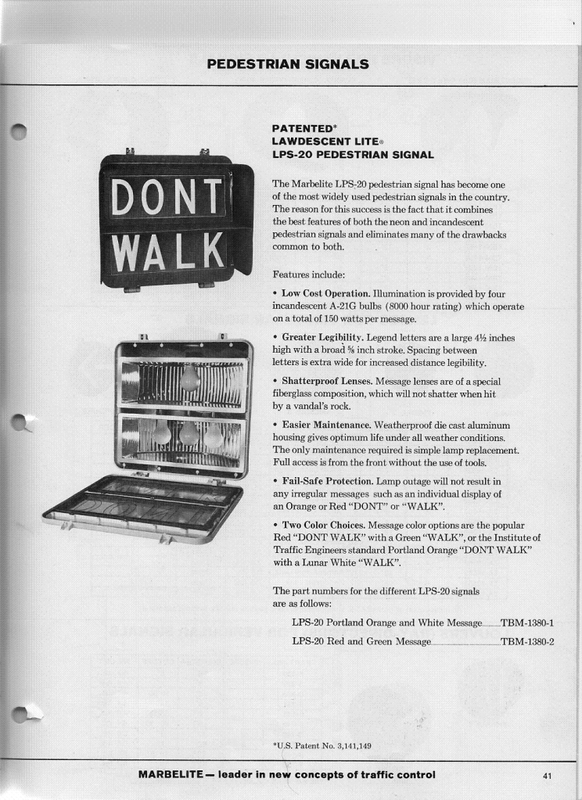 The LPS-20 is the bi-modal incandescent pedestrian signal that Marbelite manufactured in the 1960s and ’70s, and originally patented as the “Lawdescent Lite“. The earlier version of this light came with frosted glass lenses. Later versions came with “shatterproof” fiberglass lenses, supposedly with protection from vandals’ rocks in mind (click on catalog page at right), but more likely as a cost-cutting measure. 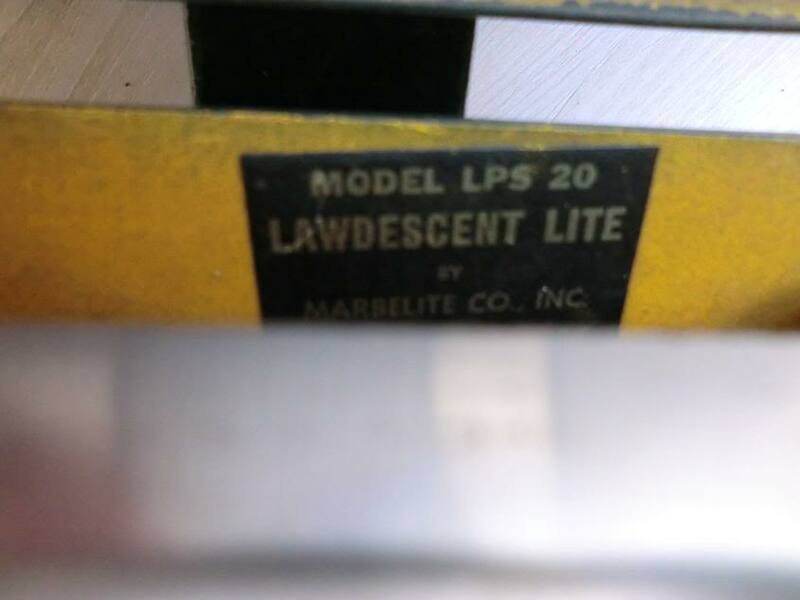 The LPS-20 was the mainstay of New York City for a good 15 years, though it had a serious flaw. The original reflectors were made of plastic, and often became brittle and broke, and could melt or even ignite from contact with the light bulbs. Most collectors who find an LPS-20 need to find replacement reflectors, and thankfully, Steve Tutty from Colorado makes sturdy sheet metal reflectors to order – which I put into the signal pictured here.